On October 16-19, the Third Papuan Congress held historic meetings in Abepura, Jayapura in which the largest representative majority ever of West Papuans voluntarily united and participated as members of the nascent Federated Republic of West Papua within our civil society. However, on October 19th, while nearing the completion of the public declaration of our independence, the Indonesian military became violent and arrested hundreds of nonviolent West Papuans, including President Forkorus Yaboisembut and Prime Minister Edison Waromi of the Federated Republic of West Papua. 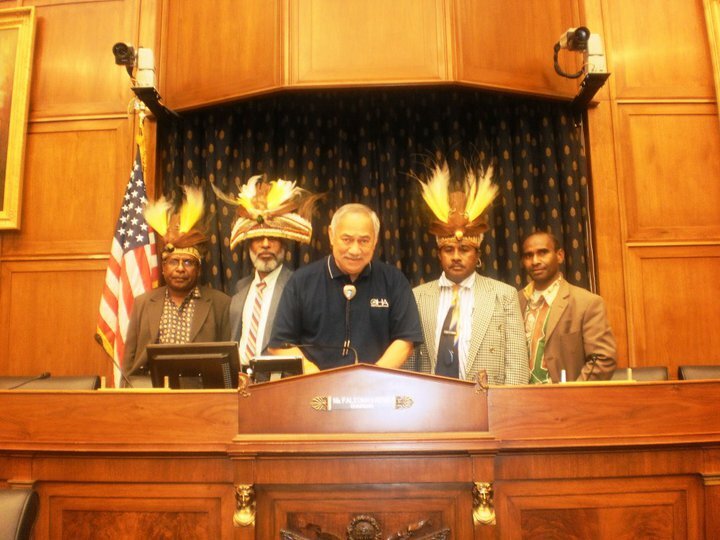 Over the years I have worked alongside many activists and political leaders including Filep Karma, Forkorus Yaboisembut, Jacob Rumbiak and others. For instance, Edison Waromi is a colleague of mine who has spent his life as a nonviolent political activist working for West Papua’s freedom. He has made tremendous sacrifices in his personal life including numerous incarcerations within the substandard conditions of Indonesian prisons in Papua. Edison’s prison history began in 1989 when he was imprisoned for twelve years; In 2001 he was jailed for six months; and in 2002 we were incarcerated together for two years. For Edison this amounts to 14 1/2 years in the past 23 years of his life. Now he is currently serving another 15 year prison sentence resulting from his arrest in October. The convictions for these political incarcerations are typical iterations of subversion; In the meantime he will continue to serve his 15 year sentence with nary a complaint, even with the awareness that his due process will likely be denied. My hope is that I will see the day when West Papuans are no longer defined by their repression and victimization, but rather by their strength, courage, and tenacity to fight for justice.